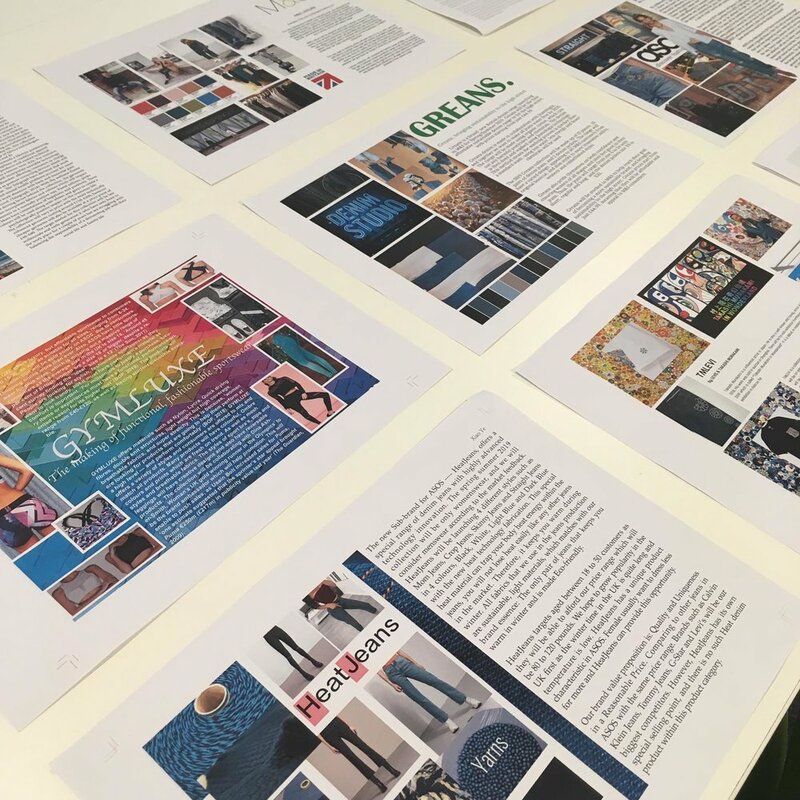 As part of the level 2 fashion management course, we have been learning about the roles of a buyer and merchandiser, working towards a written report to propose a new product range for SS19. To kick start research, I attended a fashion show at LFW for SS19 to undertake primary research on Macro trends seen both on the streets, and on the catwalk. Alongside this we attended the V&A exhibition ‘The Future Starts here’ to find some inspiration from current innovation in fashion that could be integrated into our ranges, with special consideration towards future fabric developments, technological advances and sustainability issues. We have worked in groups to collate our findings on the current MACRO environment from a business and trend perspective, and created a presentation that would later feed into our individual written report. Reflecting on our group work, I created a Value Proposition for the Brand Nike, creating a range called Nike PYRO. “Nike PYRO’s focus is to push the scope of Nike’s innovation, turning its eye to sustainability. For this new product line Nike have joined forces with SeaqualTM to create sustainable and eco friendly sports wear that not only looks beautiful but also does not harm the environment.” In seminars we have been delving into the role of a Fashion Buyer and Merchandiser by looking at range planning and price architecture. During these sessions we have been given valuable examples and scenarios alongside numerical tests that can be challenging but also very rewarding in the long run.